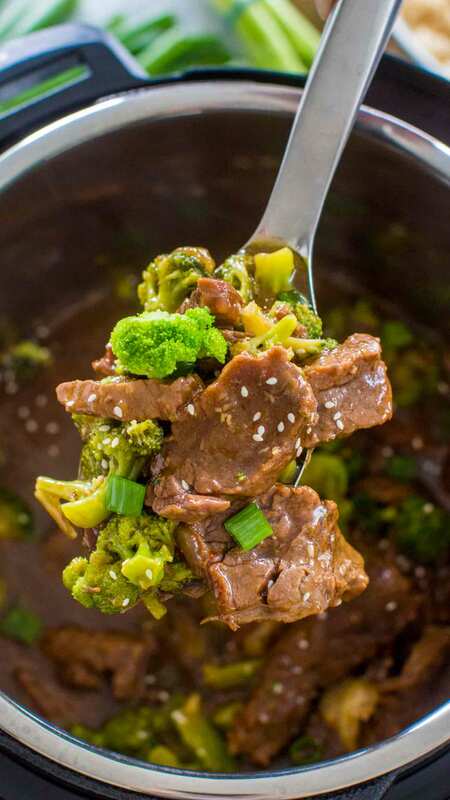 Instant Pot Beef and Broccoli is a restaurant quality meal made easily in the Pressure Cooker. A weeknight staple that can be served with rice or noodles. Making meals in the Pressure Cooker is fun and easy. 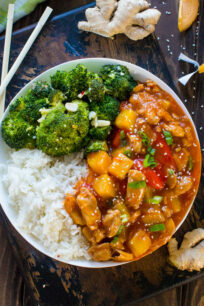 We like a good and easy meal like our popular Orange Chicken, General Tso, and Mongolian Chicken. 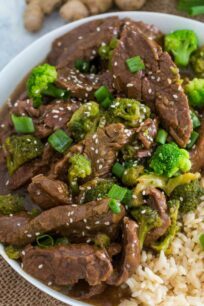 Instant Pot Beef and Broccoli is a staple in my house, and is a take on one of my most popular recipe, but modified to perfection. You know that I love a good easy meal, that I can make during the week with minimum effort. This is that type of recipe after you saute the beef, you add the rest of the ingredients to the instant pot and basically, dinner is ready for you. You don’t have to clean multiple pots, which is always a win-win for me. You can serve this homemade dish over some rice, or as my son always asks for it, over thick noodles. Why should you make this meal in the Instant Pot? Well, for me this is a no brainer because the beef gets so tender! While a stove-top version is great as well, with this version you are getting beef so tender that it melts in your mouth in a fraction of the time! Even picky eater will lick their fingers clean. Start with quality meat, preferably use organic beef for this meal. I used flank steak, but beef stew chunks will work as well the same cooking time. If you are using flank steak, I personally prefer to cut about 1 inch wide slices, this way the beef holds together better when cooked under pressure. Don’t forget to slice it against the grain. I like to use quite a bit of garlic in this recipe, I think it works really well with the beef flavor. Feel free to useless if you are not a huge garlic fan. Using fresh ginger will add amazing flavor to the sauce, so don’t skip it. The sugar can be replaced with honey or maple syrup. Can Beef and Broccoli be made in your Crock Pot? The dish can also be made in your Crock Pot or in the IP using the Slow Cooker function, it should be cooked on High for 4 hours or on Low for 7 hours. Add the broccoli at the last hour if using fresh broccoli. Or just mix in steamed broccoli before serving. 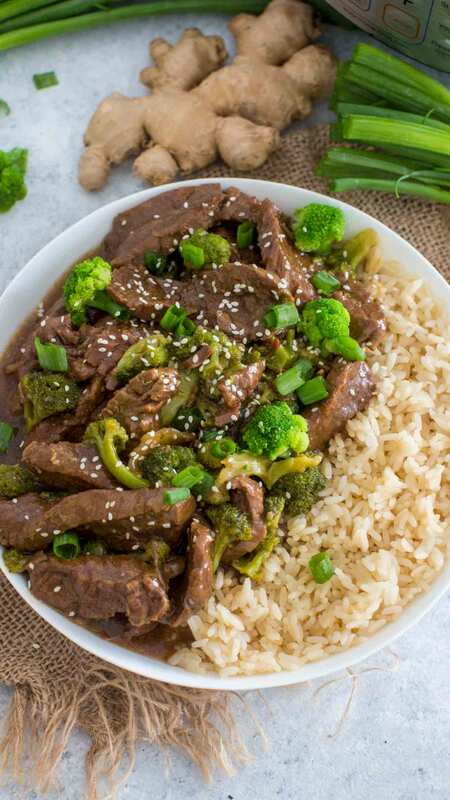 What is best to serve with Beef and Broccoli? What wines pair well with Instant Pot Beef and Broccoli? Yes, this dish can easily be frozen. Let the sauce from Instant Pot cool completely before freezing. Transfer into freezer-safe containers or heavy-duty freezer bags and add the beef and broccoli. Make sure the sauce covers at least partially the beef, so t won’t dry out. Label with the date, and freeze for up to 3-4 months, or longer if you use a deep freezer. How do you thaw Beef and Broccoli? Transfer the frozen meal to your refrigerator the night before you wish to use it to allow it to thaw. Add the sauce to a saucepan and reheat it to at least 165 F before you consume it. Microwave it or heat it up in the sauce, you can also put it in a hot oven until it warms up. 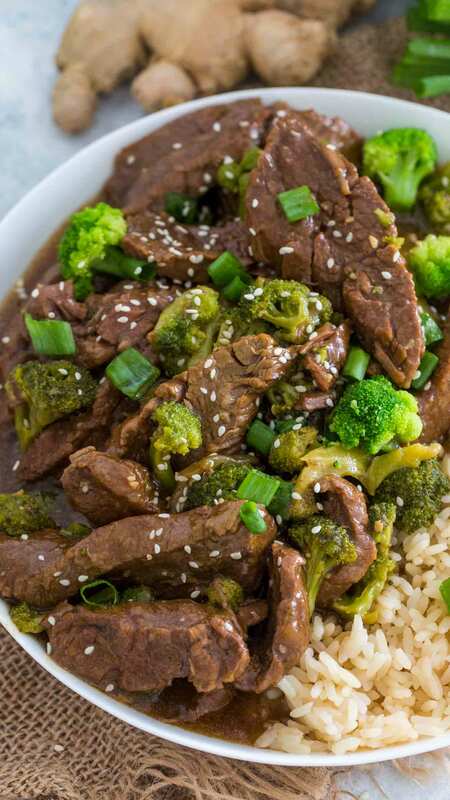 Instant Pot Beef and Broccoli is a very easy and delicious recipe that can be made in the Instant Pot. A weeknight staple that can be served with rice or over noodles. In a medium bowl whisk together all the ingredients listed in the Sauce compartment. Set aside. Press Sauté on the Instant Pot-> wait for the Instant Pot indicator to read HOT. Add vegetable oil, once the oil is hot, add the beef in one layer (in batches), do not move or turn the beef for about 2 minutes to make sure it gets a nice sear on one side (this is important). Stir the beef and sauté for 2 minutes on the other side. Remove, set aside on a plate covered in foil and brown another batch of beef and set aside. Once done with browning the beef, add 1/4 cup of water to the pot to deglaze it. Using wooden spoon, try to get any bits and pieces that stuck to the bottom of the pot. Add the beef back to the pot, pour the sauce mixture on top. Stir to combine. Close lid and pressure cook on High Pressure for 10 minutes + 10 minutes Natural Release. After 10 minutes of NPR, turn off the Instant Pot. Release the remaining pressure. Open the lid. Make the cornstarch slurry: in a small bowl mix cornstarch with water until fully combined. With the IP on the Sauté function, add the slurry to the pot, stir to combine and cook for 2-3 minutes on Sauté, stirring occasionally, until the sauce thickens. If needed add more slurry (1 tbsp cornstarch mixed with 1 tbsp water) until desired thickness is achieved. Keep in mind that the sauce will thicken more once it cools. Stir in the steamed broccoli. Turn off the Instant Pot and serve over rice or noodles. Garnish with fresh chopped green onions and sesame seeds. I bought frozen broccoli that can be steamed directly in the bag in the microwave. You can also steam them in a microwave safe bowl: Put all the broccoli in microwave-safe bowl and add 2-3 tablespoons of water per about 1 lb of broccoli. Cover with a lid, preferably should be covered tightly to keep the steam inside the bowl. Microwave for 3-4 minutes. If you are not sure of your microwave power, try at 2 1/2 minutes if the broccoli are done, if needed, cover back and microwave more. Same method can be used to steam fresh broccoli. Make sure you cut them into smaller florets before adding them to the bowl. My family loves this meal I highly recommend!! I’ve been using my IP more and more. Love this recipe! This is my type of dinner! Beef and broccoli are perfect together! I love what you have in an instant pot! Looks like a great one for an instant pot beginner! So many beef and broccoli recipes out there but I love that I can use my instant pot for this one! If you use your instant pot for just this recipe, it is totally worth the price of it. This was the first recipe I tried in my instant pot and it continues to be a huge favorite. We loveeeeee it. Very good and easy to make. Thank you Laurie! I am so happy that you love it! 1/4 cup of cornstarch?? That doesn’t seem right. depends how thick you want the sauce to be, start with 2 tablespoons. 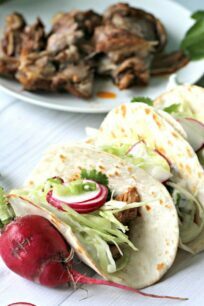 New to instant pot cooking–what could use instead of flank steak? Would chuck roast work or be too touch? Thanks. The closest substitute is skirt steak, but chuck would work too. So I am new to instant pot cooking…what kind of meat should you use instead of flank? Would chuck roast work, cut into small pieces? I’m going to attempt my first meal tonight but I have questions. I have only done rice in a bag. I want to attempt beef and broccoli one night. Is there not a way I can just dump my rice in at a certain point or do I have to do all that separate? Rice itself scares me so I just want to dump it in. Idc what it touches or what happens just as long as it cooks. I am scared and I know this sounds nuts to y’all but Idk what I am doing AND I am trying to add rice on top of this new contraption too! Any advice would be greatly appreciated. Yes I’ve watched videos but it’s like they are explaining rocket science to me. I promise I’m not a weirdo but I am super excited about this Instant Pot but all I’ve done is stare at it. 🙁 I am intimidated. What type of noodles do you use? hi, what do you mean, I don’t use noodles in this recipe. I use Lo Mein noodles. I think she is asking what you serve them with? This recipe has become a family favorite in my home and i make it at least once a week. Tonight I made it with chicken thighs and subbing chicken broth in place of the beef broth, didn’t precook the chicken at all just added all of the sauce ingredients together including the broth and mixed it and added the chicken thighs cut in about half inch strips. High pressure for 10 minutes and 10 minutes natural release and it was AMAZING. Just as good as the recipe with beef. I’m sure it would also work with chicken breasts. They will be super mushy if you add them with the beef. I cut them and add them at the end. They only need a few minutes on saute to cook. To make sure they are tender you can add them to a bowl of hot water and microwave for a few minutes, than drain, after that add to the IP. Can you slow cook this? It was very good but I would use less soy sauce…maybe 1/3 cup because it was salty. Can the beef be frozen? Yes, but it would change the time, and I haven’t tried the recipe with frozen beef. D you dump out the 1/4 cup of water after deglazing the pot or leave the water in there and add the rest of the ingredients in? I have the same question as Candace: do you 1) pour out the water after deglazing, OR 2) leave it in the pot with the beef? Dinner winner right here! My entire family loved this…so much there are NO leftovers! I used a Chuck roast and it was so beautifully tender….and the sear added great texture and flavor. Finding quick, kid-friendly dinners is always challenging, so I’m glad I found a go-to recipe! Delicious! I am so happy! You should also try my Mongolian Beef, you will love it. I just made this for my family tonight. It was easy to make, directions where straight forward and simple to follow. The beef turned out so tender and the sauce had just a little kick. Thanks so much for a new favorite. Thank you Sue for the feedback, I am really happy that you loved this easy recipe! Just made this tonight and it turned out really good. Had a little heat to it from the red pepper flakes but it was mild. I will be making this recipe again. How do you adapt this recipe to the Instapot mini, 3 quart? ( beef and broccoli. Made this for a quick week night dinner for me and my husband, doubled the chili garlic sauce because I like spicy and it was perfect! Highly recommend! I didn’t have honey so I used agave nectar and it tasted delicious. Hi Natalie, and thank you for your review. We are very glad that you liked it, this is the main reason we do this, so our viewers can enjoy the recipes as much as we do. Thank you! I made this tonight and it turned out so yummy!! I am a little new at this Instant Pot stuff. I used a rump roast and it was so tender. FABULOUS Meal!! Thank you so much Catalina! I am so happy that you loved it, thank you for the feedback! !